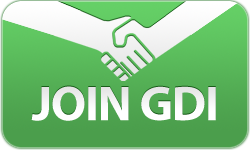 GDI offers a WordPress plugin to all of our affiliates. It’s your choice what service you use to create your WebSite, but here are a few reasons we love WordPress. You can line up posts to be published when you are nowhere near a computer. All you need to do is create a post and then choose the date and time you want that post to appear. Hit “schedule” and your post is queued up, ready to go live for when you set it. This is a great feature if you’re going to be away from your computer for a while but want to keep a presence, or you just like to be ahead of the game with your content. WordPress is infinitely customizable with plugins. You can search from within the backend of WordPress for these or plug terms into Google to find just what you’re looking for. From contact forms to SEO to games and image sharing, there’s a WordPress plugin for anything you need or want. Invite conversation and engagement with comments. 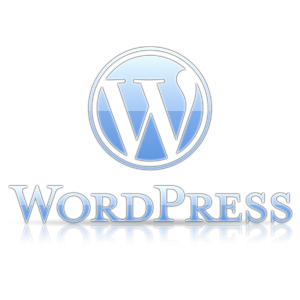 Each WordPress blog is automatically set up to receive comments. You can turn off the comment feature if you like, but we recommend encouraging conversations with it. Visitors to your WebSite have a direct line to you and you can talk right back to them with comments. Don’t like the look of your WordPress site? You can change it! There are thousands of themes available online to help you customize your site. Search within WordPress or your favorite search engine to find any theme you can imagine. Search and add widgets for a finishing touch to your personalized WordPress site. Our easiest to achieve bonus has been in full swing for over a year now. We’ve had many new affiliates earn their $25Learning Bonus and many more just a few steps away. If you’re new and want to earn your $25, here are a few tips to make sure you earn it on time. Having the right email address set up helps to accomplish two steps on the way to your bonus. First, you must create a “GDI” email address at your domain. That means on of the addresses on your .WS email account should be gdi@yourdomain.ws. Later in the steps you need to email learningbonus@wsdomains.ws from that address. Emailing learningbonus@wsdomains.ws from any other address will not count as a completed step. The fifth step of the Learning Bonus requires you to set up a WebSite using either WordPress or SiteBuilder. If you’re not sure which service you want to use or wish to use neither in favor of hosting later, that’s OK. Simply choose a service for now and create your WebSite. You can change your service once you’ve earned your bonus. Step three asks you to send five invites with a GDI Inviter. This means you can use whichever Inviter you would like whether you have a Basic or Premium account. Send out five invites with either Inviter and you can cross off this step! Social media has changed marketing as we know it. Here are a few ways to use it to enhance your current marketing efforts. Building a network is crucial to growing your business, but building it with the right people is essential. While your first thought for building a network may be to cast a big net, this isn’t the best idea. Focus on what type of people you want in your network and search for them with social media sites like Facebook and Twitter. If you’re building a network to grow your business, consider what type of skills and work ethic you’re looking for. For example, someone who is social media savvy or has experience running their own business is a good choice for an affiliate marketing network. Next think if the keywords associated with these qualities and pop them into the search box on your social sites. Lastly, it’s time to send out the invitation to connect and build your network. Below each post on this blog there area a few counters and logos for sites. The Affiliate Blog uses the Share This tool to easily let any of our readers share our blog posts easily on Facebook, Twitter, through email or through social bookmarking sites like Pinterest. If you aren’t familiar with social bookmarking sites, they are a lot like their name implies. Social bookmarking sites allow you to create an account and profile so that you can favorite or bookmark any links you want, these favorite links then become part of the profile you have created with these sites, and people can browse your profile for links. Your favorite links are also shared in a feed for anyone one to stumble upon. Pinterest is the current king of social bookmarking and has revolutionized how it works. Now you can browse images connected to links and repin and share them socially. This means you need to add relevant images to your site and blog if you want to use Pinterest to build traffic. 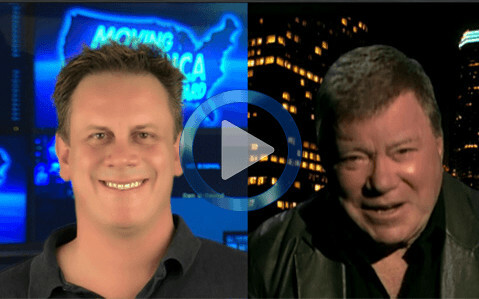 Social media offers a chance to take the knowledge you know and share it in online spaces. Help others on Facebook and Twitter by answering their questions and connecting with them. Share helpful blog posts and respond to inquiries on our forum. People you connect with will trust you and regard you as a thought leader. Also, when people search your name or your team online, they will see how helpful you are, and how you standout above others with the help and support you offer.